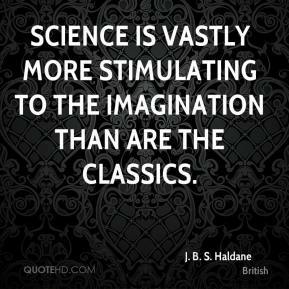 Science is vastly more stimulating to the imagination than are the classics. 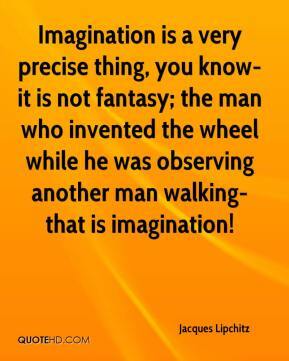 Imagination is a very precise thing, you know-it is not fantasy; the man who invented the wheel while he was observing another man walking-that is imagination! 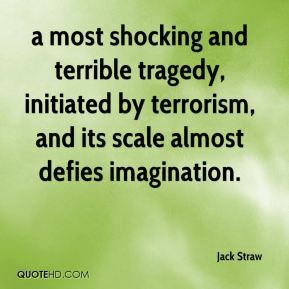 a most shocking and terrible tragedy, initiated by terrorism, and its scale almost defies imagination. 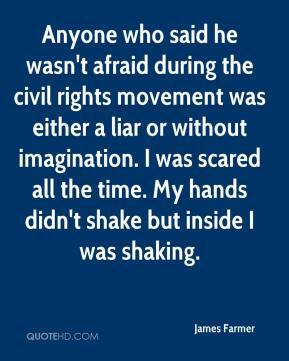 It's about human imagination and curiosity. What's out there? What's in the great beyond? 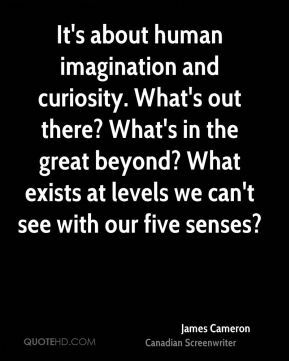 What exists at levels we can't see with our five senses? 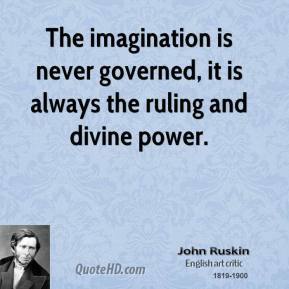 On the human imagination events produce the effects of time. 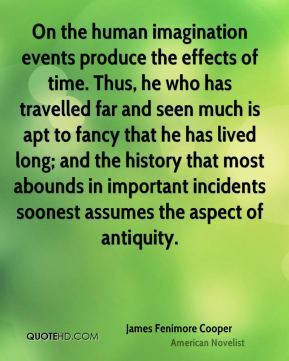 Thus, he who has travelled far and seen much is apt to fancy that he has lived long; and the history that most abounds in important incidents soonest assumes the aspect of antiquity. 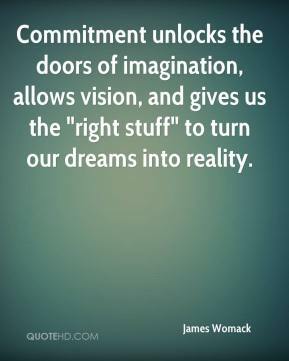 Commitment unlocks the doors of imagination, allows vision, and gives us the "right stuff" to turn our dreams into reality. 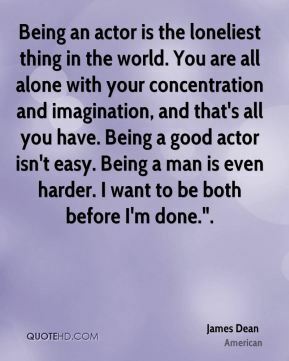 Being an actor is the loneliest thing in the world. You are all alone with your concentration and imagination, and that's all you have. Being a good actor isn't easy. Being a man is even harder. I want to be both before I'm done.". 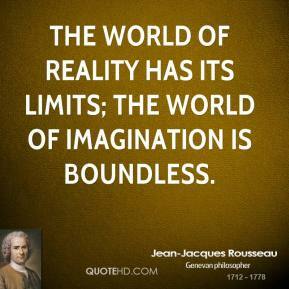 The key to life is imagination. If you don't have that, no mater what you have, it's meaningless. 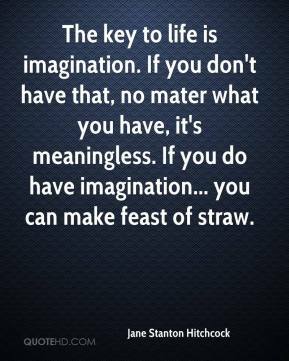 If you do have imagination... you can make feast of straw. Taboo has a lot of hidden meanings. We're going to leave that up to your imagination. We love a great find. It's amazing how many people throw out perfectly good furniture. 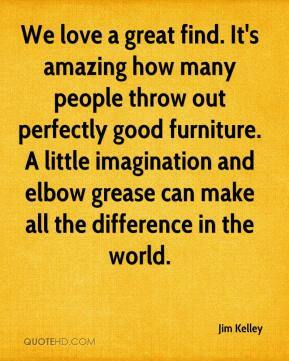 A little imagination and elbow grease can make all the difference in the world. 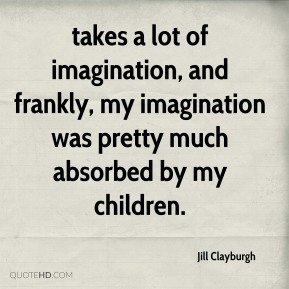 takes a lot of imagination, and frankly, my imagination was pretty much absorbed by my children. 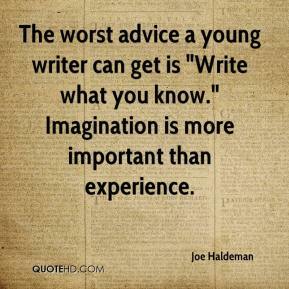 The worst advice a young writer can get is "Write what you know." Imagination is more important than experience. 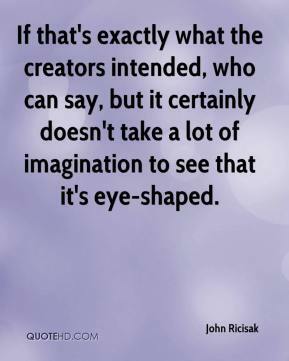 If that's exactly what the creators intended, who can say, but it certainly doesn't take a lot of imagination to see that it's eye-shaped. 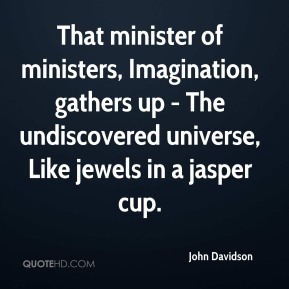 That minister of ministers, Imagination, gathers up - The undiscovered universe, Like jewels in a jasper cup. 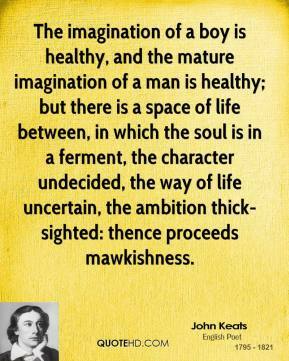 Yes, in terms of the total football and imagination, ... I had asked for more from certain players and we got that. 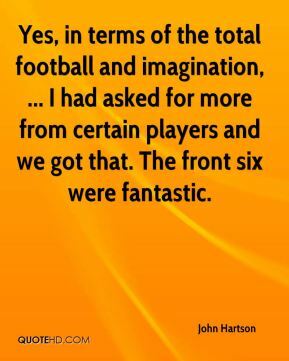 The front six were fantastic. 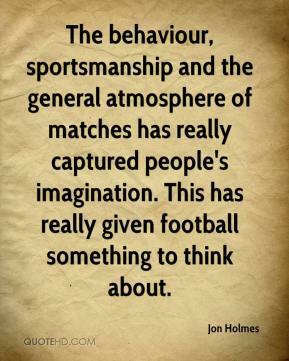 The behaviour, sportsmanship and the general atmosphere of matches has really captured people's imagination. This has really given football something to think about. 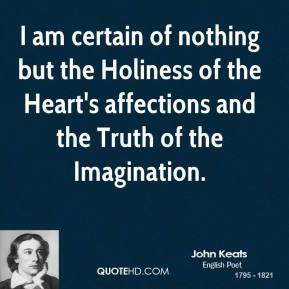 I am certain of nothing but the Holiness of the Heart's affections and the Truth of the Imagination. 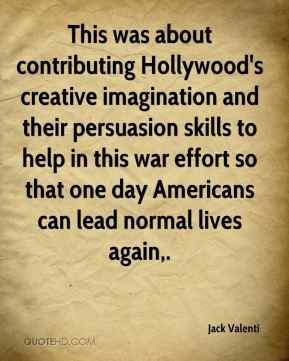 The Sept. 11 commission report stated that our biggest failure was one of 'imagination.' No one imagined that terrorists would do what they did on Sept. 11. 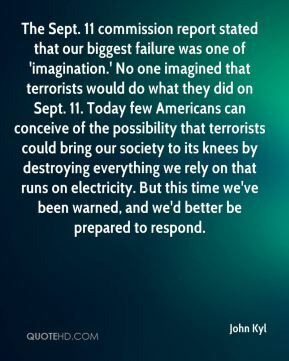 Today few Americans can conceive of the possibility that terrorists could bring our society to its knees by destroying everything we rely on that runs on electricity. But this time we've been warned, and we'd better be prepared to respond. 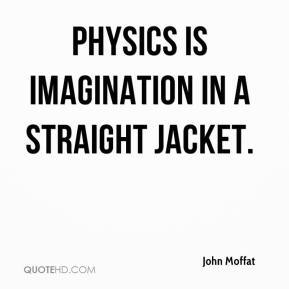 Physics is imagination in a straight jacket. The investment in rare coins has captured the public's imagination. People feel in their gut that it's a bad idea. 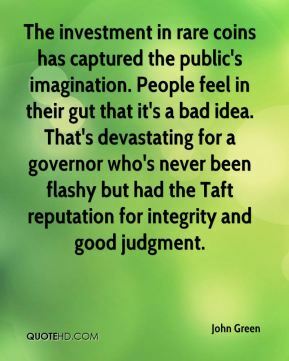 That's devastating for a governor who's never been flashy but had the Taft reputation for integrity and good judgment.